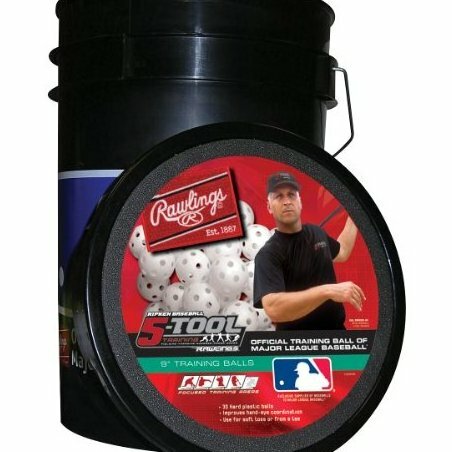 6-gal bucket with padded seat. Contains 30 9" plastic training balls. Balls are white. Official training ball of the MLB.